The spice from the chiles and the sweetness from the mango nectar perfectly wraps together in these tacos. Enjoy! 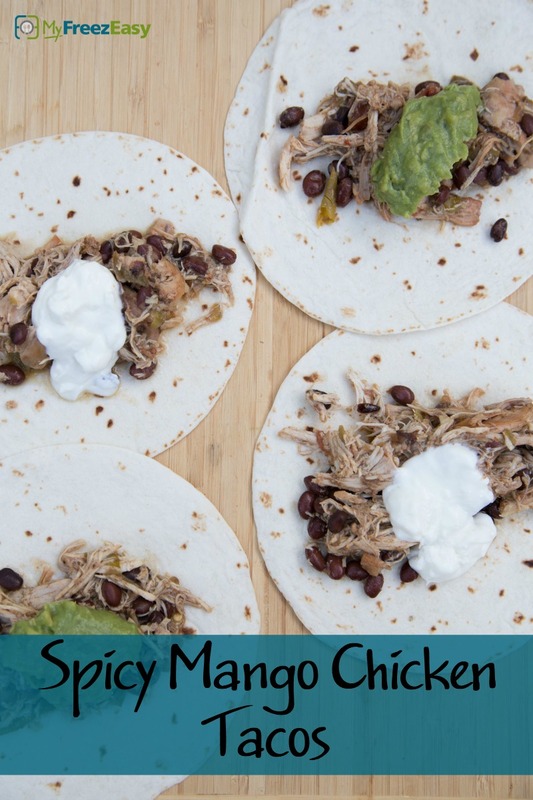 Place the chicken breasts and chicken thighs into the base of the slow cooker and add the mango nectar, ground cumin, salsa, drained black beans, green chiles, salt and pepper on top of the chicken. Set the slow cooker on low and cook for 8 hours. Once finished cooking, shred the chicken with 2 forks and mix into the sauce with the black beans. 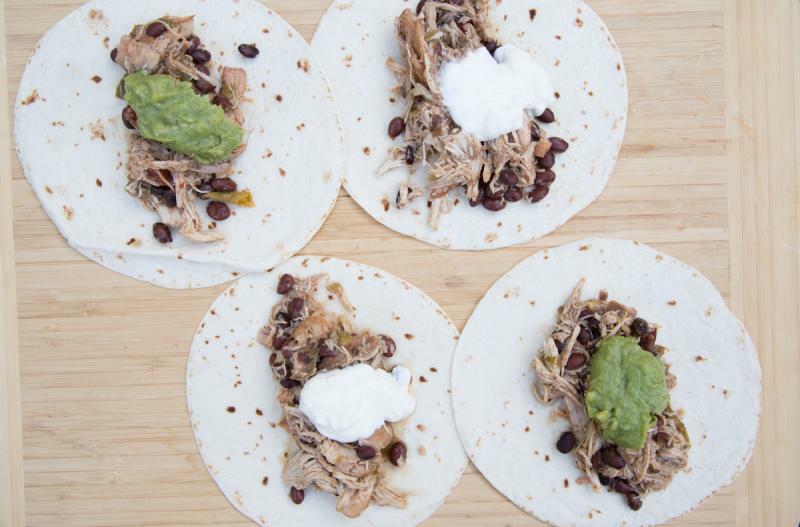 Serve Slow Cooker Spicy Mango Chicken Tacos with avocado. Recipe is gluten-free if you serve the shredded chicken over rice.